The mission of Lake Shore Public Schools Special Education is to provide the opportunity for all students to achieve and become socially accepted, productive members in a community. 1. All children can learn and enjoy success. 2. All students are members of the general education. and the community are key to a student's success. 6. Learning is enhanced in a non-threatening environment. 9. Instruction is adapted to meet individual needs. recognizing every choice makes a difference. Lake Shore Public Schools offers a wide range of services for those students identified as having a handicap under Michigan Law. Depending on the handicapping condition, your child may be eligible for self-contained instruction within a special classroom, resource room support, teacher consultant support, as well as additional support services such as speech and language therapy, occupational therapy and school social work. If you suspect that your child may have a handicap which adversely affects that student's ability to profit from instruction within the general education classroom, you should contact the Special Education Office for information regarding support services and/or evaluation. Each building in our district offers to the community a specialist in the area of speech and language, emotional concerns and academic achievement. You may access these specialists by contacting your local building and requesting to speak with the speech and language pathologist, the school social worker or the teacher consultant. Lake Shore Schools offers specialized programming for youngsters identified as having a handicap whose ages range 3-6 years old. We also offer preschool speech for those preschool students who are experiencing either an articulation concern and/or a language development concern. Families in need of referral services to other agencies in the community such as the Department of Community Mental Health, Social Services or any other community outreach agency may obtain additional information by contacting their school social worker. We are happy to provide special education services to families that are educating their children at home and whose home school has been certified by the State of Michigan . If you are educating your child in a certified home school and need more information, please contact the Special Education Office. The Individuals with Disabilities Education Improvement Act (IDEA) is an education law that offers supplemental funding for services to students with very specific educational disabilities. The IDEA defines as eligible only those students who have specified types of educational disabilities and who, because of one or more of those conditions, need special education (specially designed instruction) and related services. Section 504, on the other hand, protects all qualified students with disabilities, defined as those persons having a physical or mental impairment that substantially limits one or more major life activities. Section 504 covers all students who meet this definition, even if they do not fall within the IDEA enumerated categories and even if they do not need to receive specially designed instruction. An example of a student who may be protected by Section 504, but who may not be eligible under IDEA, is one who has juvenile arthritis (health impairment) but who does not require special education in order to receive free appropriate public education (FAPE). However, the student may be disabled for the purpose of Section 504 because of a health impairment that substantially limits a major activity (physical strength). This student may have limited strength, and not be able to carry several books home every night. In order to fully access the regular education program, the district may determine that it is necessary to provide an extra set of books for the student to keep at home during the school year. In essence, this is a Section 504 accommodation. Special Olympics is a global movement of people creating a new world of inclusion and community, where every single person is accepted and welcomed, regardless of ability or disability. 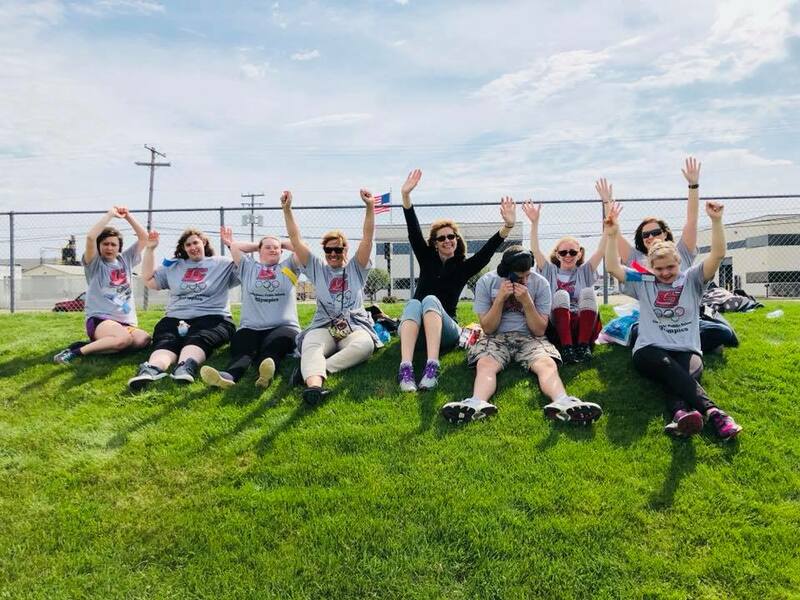 Lake Shore is helping to make the world a better, healthier and more joyful place by participating in Macomb County’s Area 14 Special Olympics. Out of the 1,017 athletes, a record number of 28 MOCI and 15 MICI represented Lake Shore. Our students participated in several events including bocce, long jump, running, softball throw, and weightlifting. Speech pathologist in each building. Math and ELA support classes be grade level at KMS. PASS support at the HS. Response to Intervention in place in the elementaries.